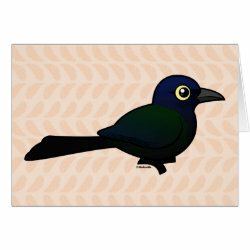 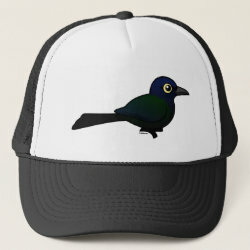 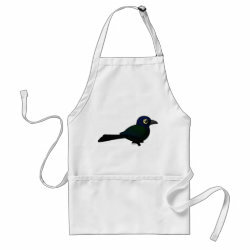 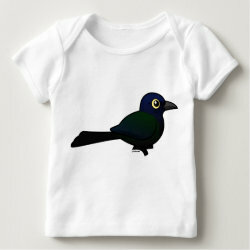 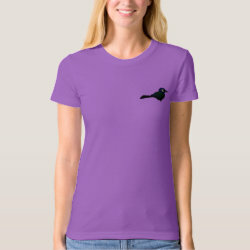 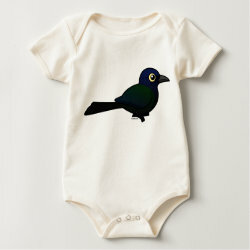 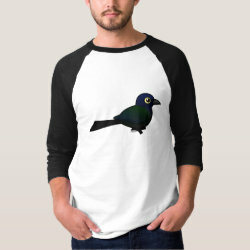 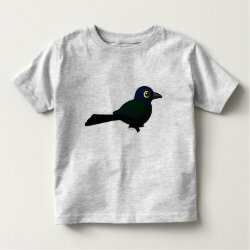 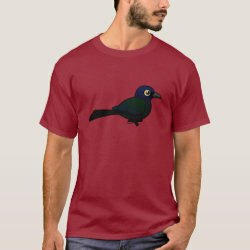 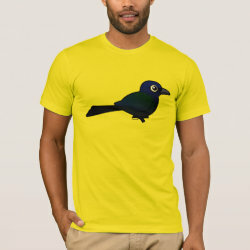 The Boat-tailed Grackle is a medium-to-large sized songbirds of the American southeast. 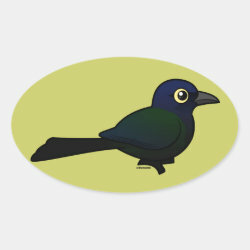 Its habitat is mostly coastal, though birds can be found inland throughout the state of Florida. These birds are named for their long, keel-shaped tails. 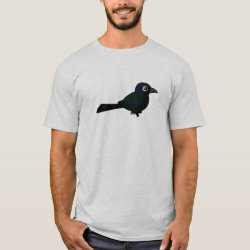 Males (as our Birdorable version here) are iridescent black in plumage, while females are chocolate brown.